Concerns come as Amazon looks to make inroads in the government market. A consortium of industry groups is concerned that the Pentagon could issue a single contract for internet cloud-computing services, putting one company in a dominant position to lock out competitors that might develop new innovations in the future. Their worries come as Amazon.com’s cloud-computing unit looks to make inroads in the government market. The Defense Department contract, one of the most important Pentagon IT contracts in years, could be worth billions of dollars, and it comes as the department is increasingly reaching out to the commercial sector. Earlier this fall, the Pentagon released a solicitation seeking information on the best solutions and said it would award a contract in fiscal year 2018. Speaking at a Senate Armed Services Committee hearing on Thursday, Ellen Lord, the Pentagon’s new undersecretary of defense for acquisition, technology and logistics, said the department received 52 responses to its solicitation. 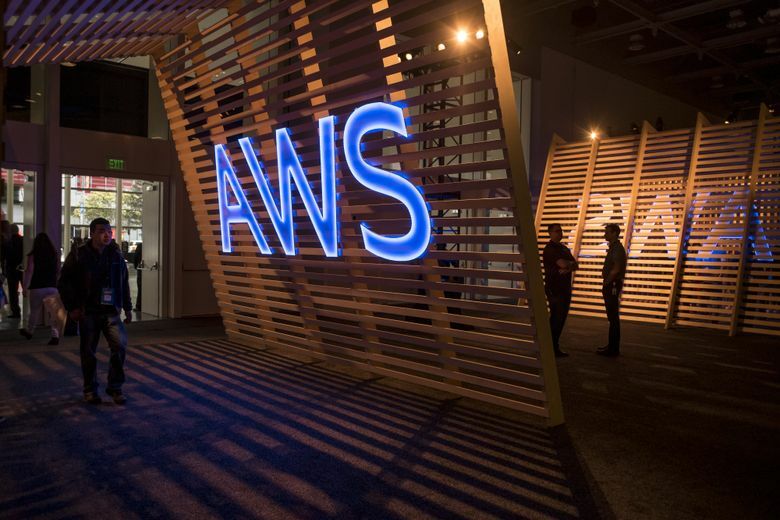 Industry concerns grew after the Pentagon published a document justifying a sole-source award to Amazon Web Services (AWS) for an Air Force cloud contract. The document was widely viewed as giving AWS an advantage in the competition for the larger, Pentagon-wide contract, especially since the company already holds a $600 million contract to provide cloud computing for the CIA. Evans, however, said no contract was awarded for the Air Force work and the document had been withdrawn because “it had been posted in error.” She said the Pentagon now plans to award the contract to multiple companies. An Amazon spokesperson did not respond to requests for a comment. Amazon has been moving in recent years to broaden its reach throughout the federal government, a massive buyer of IT services. Amazon recently released a new cloud-storage service meant specifically for agencies that handle classified information. Other opportunities for Amazon to expand its work with the Defense Department could be on the horizon. The 2018 defense-spending bill headed for the president’s desk calls for multiple contracts to be issued to make use of e-commerce platforms that agencies can use to buy basic commodities. House Armed Services Committee Chairman Mac Thornberry, R-Texas, who sponsored that bill in its original form, has said the effort was inspired by how Amazon has changed retail. That bill originally called for a single contract but was modified to explicitly call for more than one e-commerce contract following pushback from industry groups. Industry officials said they are worried that committing the Defense Department to using one company’s cloud services could cause the military to miss out on innovations developed later at other firms. There is also a worry that building too many of the military’s software applications around a single cloud provider could make agencies overly dependent on that company in the long-term. Oracle senior vice president Ken Glueck agreed. “The American taxpayer and the warfighter deserve a transparent and fair competitive process that delivers the most capable technology in defense of the nation,” he said.